Looking for an easy ice cream recipe without eggs, cooking custards and hand-cranked churning apparatus, then this recipe is for you. You will need a one-quart ice-cream maker for this one! Whisk first 3 ingredients in a 2-quart pitcher or large bowl until blended. Cover and chill 30 minutes. 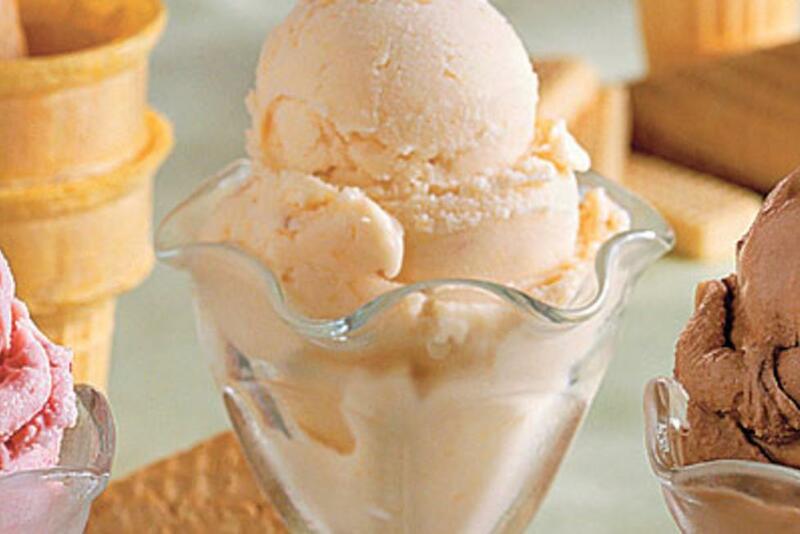 Process peaches with sugar, lemon juice, and salt in a blender or food processor until smooth or slightly chunky if you like pieces of peaches in your ice cream. Stir into milk mixture with peach nectar. Pour milk mixture into freezer container of a 1-quart electric ice-cream maker, and freeze according to manufacturer&apos;s instructions. (Instructions and times will vary.) Remove container with ice cream from ice-cream maker, and place in freezer 15 minutes. Transfer to an airtight container; freeze until firm, about 1 to 1 1/2 hours.